SCROLL DOWN FOR MORE ! 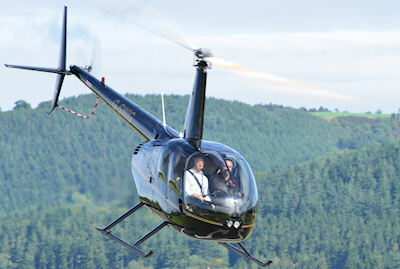 Take a stunning helicopter ride and see the world from a different view point. Fast and reliable service, whatever your business needs itinerary or destination. 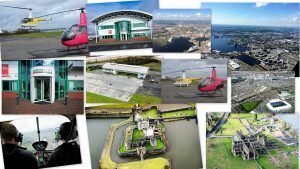 Helicopter Trial Lessons, Private Pilots Licences, helicopter Type Ratings up to Commercial Pilots Licences. Arrive in style at sporting events, weddings, birthdays and any other celebrations you have planned. With over 18 years experience in providing helicopter pleasure flights, helicopter hire and our full pilot training programme we know what makes a great pleasure flight. 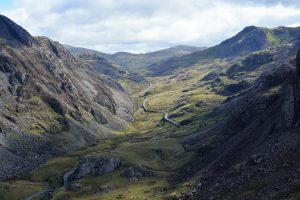 From the stunning beauty of the Snowdonia National Park and the relatively undiscovered mid Wales to the city scapes of Manchester and Cardiff. Cardiff, Welshpool, Mallorca – Where do you want to learn to fly ? Want to learn to fly a helicopter? If it’s Helicopter flying lessons you’re looking for, as a CAA Approved Training Organisation (ATO) we can provide training from Helicopter Trial Lessons, Private Pilots Licences, helicopter Type Ratings up to Commercial Pilots Licences. We can guide you in all aspects on how to become a helicopter pilot in a relaxed and friendly manner. Want a job flying a helicopter ? The offer of paid flying work at the end of your training may suit if you’re are looking for a completely new and exciting change of career. The work we offer will kick start your aviation journey and help you in gaining the helicopter pilot job of your choice. With our flying schools at Welshpool Mid Wales, Cardiff Heliport and at Son Bonet Airport, near Palma, in Majorca, we can tailor your flying to suit you, with the options of flying both in the UK and in Spain. For aerial filming and photography you can’t beat a helicopter, we have worked with many TV and Film production companies, our experienced pilots know just how to get that shot! Do you just want to sit back and enjoy the view? 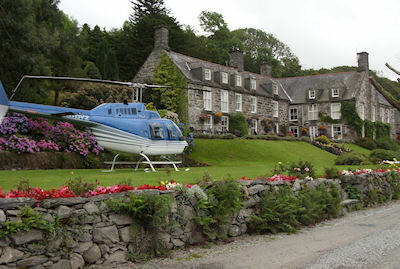 Take a stunning helicopter ride and see the world from a different place with one of our helicopter pleasure flights over Snowdonia, Liverpool, Manchester, Cardiff, Mid Wales, Shropshire, Lancashire and Cheshire. Great gift idea! 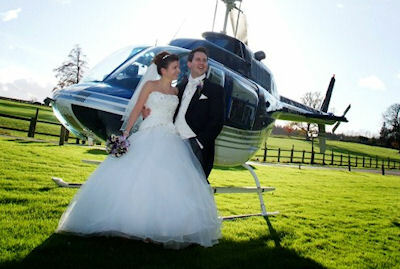 Whizzard Helicopters was established in 2002 with the premise of making helicopter flying and training more approachable. With years of experience and highly trained pilots let us take care of your helicopter flight needs. We can provide a comfortable, efficient and convenient helicopter charter service for private individuals or groups travelling to business meetings, sporting events or special occasions. Our new Base at Cardiff Heliport is now open for helicopter flight training as well as charter and pleasure flights. Give us a call to discuss your future career! Why not arrive in style and on time at the many sporting events taking place in 2019, fly over the traffic queues by hiring your very own helicopter for the day. With years of experience and highly trained pilots let us take care of your helicopter flight needs. We can provide a comfortable, efficient and convenient helicopter charter service for private individuals or groups travelling to business meetings, sporting events or special occasions. Pleasure flights are available for 10 minuets upwards and can be taken from 5 different departure points including Welshpool, Snowdonia, Manchester and the Balearic Islands. Error: Error validating access token: Session has expired on Saturday, 16-Mar-19 10:40:12 PDT. The current time is Thursday, 25-Apr-19 07:13:07 PDT. Please do not hesitate to get in touch should you have any questions or are interested in our services and would like to know more before booking.